You’ve decided to treat your varicose veins, but what clinic do you choose? You want to be assured you will receive an accurate evaluation with appropriate treatment, best possible results and high attention to patient care, but where do you start? 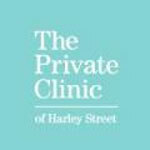 To help you in your search, The Private Clinic, one of the most recognised varicose vein removal centres in the UK, address important questions to ask and criteria to check. With an increase in varicose vein removal procedures that are minimally invasive, clinics may offer medical staff such as doctors, physician assistants, ultrasound technologists and nurse practitioners to treat vein conditions. However, to receive the best possible care, The Private Clinic only recommend you are treated by a vascular surgeons for the procedure. What are the surgeon’s credentials and experience? Ask about the surgeon's experience in performing the procedure, and how often they perform it. These both have a significant impact on how effective your results are. This is particularly true with procedures on small areas, such as single veins on a patient’s leg. Confirm the surgeon is board certified within vascular surgery or if they have achieved a vein-treatment related certification from a noteworthy organisation. You can research for yourself or ask your surgeon if they have membership of a major vein-treatment related organisation, for example: the Vascular Society of Great Britain and Ireland, the European Society for Vascular Surgery, the European Board of Vascular Surgery and the British Society of Endovascular Therapy. It’s important to also check your surgeon is qualified to treat your particular vein condition. Is a preliminary evaluation offered? Treating varicose veins should always start with a preliminary evaluation, where veins are evaluated using an imaging technique. The best clinics will offer a highly accurate diagnostic ultrasound procedure as an imaging technique, otherwise known as duplex vein scanning. This process evaluates the location and severity of varicose veins, checking for serious conditions. Such information will be necessary for your surgeon to recommend the most relevant treatment for you. It is insufficient to only to have a traditional physical examination of the area, as venous disease does not always show on the area’s surface. Ensure the clinic offers a range of varicose vein treatment options, including heat ablation techniques, sclerotherapy and surgery, suited to different vein needs. This helps ensure that the clinic will be able to address your needs, and that you’ll be recommended the most applicable option or options - sometimes, a combination of treatments will be required to ensure optimal results. NICE (The National Institute for Health and Care Excellence), a public body aiming to encourage optimal healthcare practices nationwide, recommends minimally invasive laser and heat ablation techniques for treating varicose veins, then if unsuitable, ultrasound-guided foam sclerotherapy, and if still inappropriate, surgery as the last option. You’ll find that modern vascular surgeons do prefer to use heat ablation techniques, including EVLA (Endevonous Laser Ablation), which is the “gold standard” method for treating veins according to NICE. At The Private Clinic, EVLA, foam sclerotherapy, and surgery in the form of Phlebectomy are the varicose vein treatments offered. Phlebectomies are minimally-invasive as a surgical procedure, involving small incisions and no stitches, in comparison to the surgical procedure, vein stripping, involving extensive incisions and much longer recovery. By reading patient reviews and checking the clinics website, you can gauge an idea of the patient care and aftercare offered at the clinic. See if patients receive thorough pre and post treatment instructions, and find out what additional support is offered. For example, does the clinic offer a patient advisor that you can contact throughout your journey? Is there a 24 hour emergency phone line? Also check which face-to-face appointments would be offered with the surgeon. The entire process should involve a consultation with a preliminary evaluation, and as many procedure and follow up sessions as required. Seeing before and after photos of patients is very useful for understanding the results you could expect with that clinic. You may find these on the clinics website and social media pages, or on consumer review websites on which patients can upload images, such as RealSelf. Reading testimonials about patients’ experiences can also indicate the experience you could anticipate with that clinic. As well as checking the clinics website, there are many sites offering patient reviews and satisfaction ratings, for example, as Trustpilot and Realself. You can also take a look at their Google and Facebook reviews. If you would like to find out more information about the varicose vein removal procedures offered by The Private Clinic, visit their varicose vein treatment webpage or call 03339209135. The Private Clinic has been treating all vein types for over 30 years and present industry leading vascular surgeons for the procedures. The Private Clinic give an insight into rhinoplasty.